I believe wine is an individual experience and different things will appeal to different people, and that’s my disclaimer. 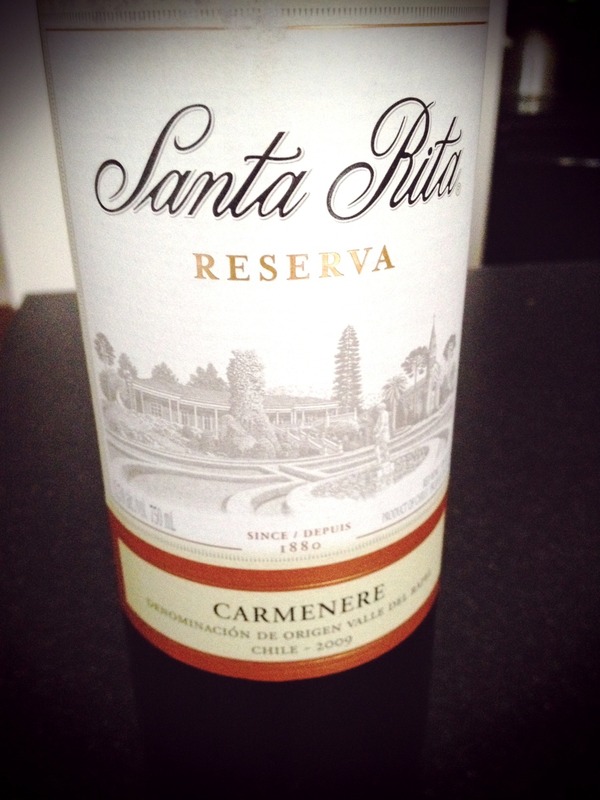 This Carmenere is from the Santa Rita winery in Chile and is a part of their Reserva line. The Carmenere grape is unique to Chile, but was once a grape found in Europe, until the mid 19th century. If you are in to wines that have a large part spice to a lower part ‘all other taste’ sentiments, then you’ll like this one. For me, it took a long while to have the spice sapor thin out, before I could enjoy it. In my books this wine lands in my ‘required taste’ bucket and as a result, is not one that I would recommend for parties, with varied palates in attendance. Despite all of this, this winery does have a rich history, seven vineyards all across Chile and a bevy of other wines associated to its brand, so I will be venturing down the Santa Rita path again; I am sure of it.